Audient ASP800 Microphone Preamplifier The Audient ASP800 is an audio powerhouse designed to tran.. 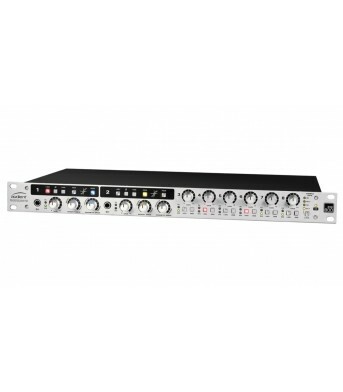 The dbx® 286s is a full featured Channel Strip Processor that delive.. THE PEDIGREE OF PROFESSIONAL AUDIO. We at dbx Professional Products are..
ISA 428 MkII Heritage Sound times four Focusrite’s ISA mic preamps can be traced back to 1985,..
ISA 430 MkII The Focusrite Heritage Sound – in a complete channel strip Focusrite’s ISA range ..
ISA 828 More mic inputs for less You can enjoy the benefits of Focusrite’s classic heritage s..
ISA One The Focusrite Heritage Sound - in a versatile, transportable package Back in the mid-1..
ISA Two You may only need a couple of mic preamps – but they should be the best The ISA Story ..